Your doctor has ordered a glucose tolerance test. To make sure the test results are accurate, you must eat at least 150 grams of carbohydrate foods. 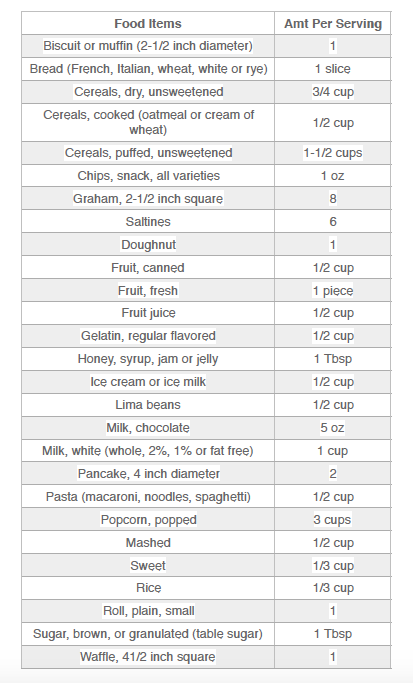 Each one of the food items listed below contains about 15 grams of carbohydrates. Choose at least 10 items and eat them throughout the day. Do this for a total of three days. You do not need to eat the same 10 items each day, but you must eat at least 10 (more than 10 are okay). NOTICE: You must fast for 12-14 hours prior to reporting to the lab.